Learn about impressed current anode installations. This course is intended for professional engineers and construction managers wanting an introduction to the construction and maintenance of cathodic protection systems. This course will give professional engineers and others an introduction to techniques and methods used to construct and maintain sacrificial anode and impressed current cathodic protection systems. 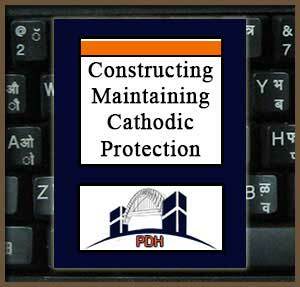 This is an introduction to cathodic protection systems construction and maintenance. This course will give you an introduction to methods for maintaining and constructing impressed current and galvanic cathodic protection systems.